Currently viewing the category: "Featured Articles"
When a stream of meteoroids rains down on the lunar surface, liberated water enters the exosphere. Scientists capture first direct visual evidence of a supermassive black hole and its shadow. The application deadline for Meteorite Impact Research grants is April 5, 2019. U.S. Vice-President Mike Pence stunned the lunar science community last week with the announcement that by 2024, NASA would send astronauts to the Moon's South Pole. NASA will push the boundaries of human exploration forward to the Moon. New findings aid in the creation of asteroid impact and deflection strategies, increase understanding of solar system formation, and help design asteroid mining efforts. The 6th annual NESF will be held JULY 23-25, 2019 at NASA Ames Research Center, Moffett Field, CA. Abstract submission is now open for the 7th European Lunar Symposium (ELS), which will be held in Manchester, UK on 21-23 May 2019. 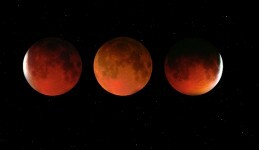 Late Sunday night, Jan. 20, 2019, into Monday, Jan. 21, millions of people in North America will witness a total lunar eclipse. The icy object is now the most distant world ever visited by a spacecraft. China has successfully landed a robotic spacecraft on the far side of the Moon, the first ever such attempt and landing. SSERVI is currently seeking interested applicants for the position of Deputy Director. NASA InSight Lander arrives on Mars to learn what lies beneath the surface. InSight is set to touch down on the smooth plains of Elysium Planitia on Mars on Nov. 26, 2018. The LDAP solicitation is now open on NSPIRES. Mandatory Step 1 proposals are due November 29th! The Dawn spacecraft launched 11 years ago to visit the two largest objects in the main asteroid belt. In this episode, NASA in Silicon Valley Live talks about exploring the Moon with robots, NASA’s 60th anniversary and more! Greg Schmidt has been appointed as the new Director of SSERVI. 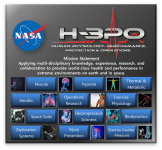 The Human Physiology, Performance, Protection & Operations (H-3PO) Laboratory at NASA Johnson Space Center is seeking an experienced Human Performance Scientist. SSERVI's third Cooperative Agreement Notice (CAN) has been released as NNH18ZDA018C. A call for proposals for Lunar Surface Instrument and Technology Payloads (LSITP) to be integrated onto and delivered to the lunar surface by commercial lunar landers. NASA is partnering with six U.S. companies to develop technologies like a lunar lander and deep space rocket engines. Hayabusa2 snaps new close-up images of the asteroid's surface from the minimum altitude of only 851 m.
Get to know the astronauts who will launch from American soil for the first time since 2011. These Hayabusa grains have become the focus of scientific study around the world. Video: Are Moon Settlements Feasible? Watch a brief interview with Jack Schmitt marking the 49th anniversary of Apollo 11 landing on the Moon. The distance between Hayabusa2 and Ryugu is approximately 20 kilometers. Watch recorded sessions from the 2018 NESF live stream on-line! The SSERVI Year 4 Annual Report is now available on-line. The new NASA position will focus on exploration of the Moon, Mars and worlds beyond. Comments on this DRAFT CAN are to be submitted by July 3, 2018 via email to HQ-SSERVI@mail.nasa.gov. NASA is requesting information as to the availability of existing flight hardware with little to no payload development necessary. Read the obituary article released on the behalf of Alan Bean’s family. NASA is seeking science derived from Apollo samples in preparation for future lunar missions anticipated in the 2020s and beyond. The European Space Agency has issued a Request for Information from potential suppliers, service providers, and partners for lunar missions. The Center for Lunar Science and Exploration is pleased to announce the 2018 class of Exploration Science Summer Interns. 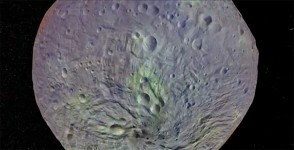 International Astronomical Union has approved the name "Hawke" for a 13-km crater just north of the Schrodinger basin. World renowned physicist Stephen Hawking died peacefully at his home in Cambridge. The International Space Exploration Coordination Group (ISECG) releases third edition of the Global Exploration Roadmap. NASA will advance the nation’s space program by increasing science activities near and on the Moon and ultimately returning humans to the surface. NASA Television, the agency’s website, and the White House Facebook page will provide live coverage of the meeting at Kennedy Space Center. NASA’s former chief exploration scientist, Michael Wargo, has been posthumously honored with the distinction of having a lunar crater named after him. On Wednesday, Jan 24th, 2018 at 7 pm, Dr. Eliot Quataert of the University of California, Berkeley, will give a free, illustrated, non-technical talk. John Young, NASA's longest-serving astronaut, who walked on the Moon and flew on the first space shuttle mission, has died. The deadline for NASA to receive all public nominations is Jan. 10, 2018. Dr. Pendleton has received one of the highest honors available to U.S. government employees. The new national space policy calls for a human return to the Moon, followed by missions to Mars and beyond. The BASALT project, a NASA Mars-analog mission, conducted a high-fidelity, simulated exploration of basaltic (lava-rock) terrain. Consider submitting a proposal to this opportunity; a virtual Industry Forum is planned for Dec 11 at 1:00 pm EST. For 20 years NASA has continuously observed plant life at the surface of both the land and ocean. Gordon was one of only 24 people to have flown to the Moon, as the Command Module Pilot for the Apollo 12 mission. A personal account of the Apollo 17 Mission by astronaut Harrison H. Schmitt. Exploration Mission 1 (EM-1) integrates both the Space Launch System—NASA's rocket to bring astronauts into deep space—and the new Orion spacecraft. 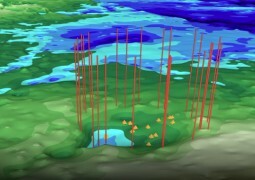 SSERVI hosted NASA’s virtual workshop on the Global Exploration Roadmap Nov. 29-30 at NASA’s Ames Research Center. The Lunar Science for Landed Missions Workshop will be held January 10-12, 2017 at NASA Ames Research Center (Building 152). On Wednesday, Nov. 8th, 2017 at 7 pm, Dr. Natalie Batalha of NASA Ames Research Center will give a free, illustrated, non-technical talk. National Space Council to assist in developing and implementing long-range strategic goals for our nation’s space policy. On Wednesday, Oct. 11, 2017 at 7 pm, Dr. Jill Tarter of the SETI Institute will give a free, illustrated, non-technical talk. ESA has released an Announcement of Opportunity to partner in the definition of a mission to create water or oxygen at the lunar surface before 2025. First-Ever Silicon Valley Solar System Showcase will be held at Ames Research Center on Friday, Sept. 22, from 10 a.m. to 3 p.m. PDT. The Lunar Science Community morns the loss of Dr. Lawrence (Larry) Taylor, noted scientist to the Apollo lunar missions. Multiple projects now available for domestic and international students. Application deadline is Sept. 21st! This movie was made by Dale Cruikshank at the total solar eclipse of August 21, 2017, from Ontario, Oregon. NASA has created a tactile guide, "Getting a Feel for Eclipses," to allow the visually impaired to learn more about the upcoming eclipse. The 49th annual Division for Planetary Sciences Meeting will be held at the Utah Valley Convention Center in Provo, UT, Oct. 15-20, 2017. The 2017 NASA Exploration Science Forum was held July 18 - 20, at NASA Ames Research Center, Moffett Field, CA. NASA's Planetary Defense Coordination Office and other projects are working to find and study near-Earth objects (NEOs). NASA is advancing the capabilities of small spacecraft, called CubeSats, for deep space science and exploration missions. People in a narrow path from Oregon to South Carolina will see a spectacular total eclipse, with the Moon briefly covering the Sun, and day turning into night. NVM-2 Europe was live streamed over the internet. "Getting a Feel for Eclipses," features graphics that teach about the interaction and alignment of the sun with the moon and Earth. ShadowCam will address Strategic Knowledge Gaps to reduce risk, increase effectiveness, and improve the designs of future human and robotic missions. Nicole Nevill will head to Houston in June to research a potential link between interstellar organic compounds and the origin of life itself. NASA's Kepler space telescope data shows that two-star planetary systems can indeed support life. We once thought oceans made our planet unique, but we’re now coming to realize that ‘ocean worlds’ are all around us. SSERVI's Brian Day talks about how Jupiter can be viewed at opposition from sunset on April 7, 2017 to sunrise on April 8, 2017. On April 26, the spacecraft will make the first in a series of dives through the gap between Saturn and its rings. Jan Fröjdman processed Mars images into panning video clips as if you are flying above the Martian surface looking down. From March 13-17, observatory professionals and informal educators extended their reach to school districts across the Big Island of Hawaii. SSERVI Director Dr. Yvonne Pendleton was featured in NASA in Silicon Valley podcast series, episode 31. Astronomers discover that the ultra-cool dwarf star, TRAPPIST-1, hosts a total of seven Earth-size planets that are likely rocky. Registration & Abstract Submissions are now open! Abstracts will be accepted through April 12th, 11:59pm PDT. How Cassini’s sleuthing revealed an active ocean world in orbit around Saturn. Everything you need to know regarding where and when to see the eclipse on August 21, 2017. The case for a supermassive black hole at the heart of the Milky Way has moved from a possibility to a certainty. A farewell video from NASA Administrator Charlie Bolden and Deputy Administrator Dava Newman. Gene Cernan, the last man to walk on Moon, has died at age 82. Establishing the age of the Moon is critical to understanding solar system evolution and the formation of rocky planets, including Earth. 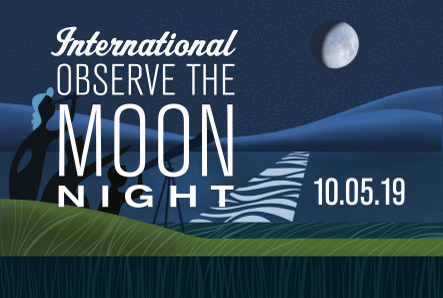 It's been 44 years since Gene Cernan and Jack Schmitt set foot on the lunar surface. John Glenn, hailed as a national hero and a symbol of the space age as the first American to orbit Earth, has passed away. The Science White Paper captures opportunities for scientific discovery associated with exploration missions. The special issue features cross-comparison of results from LRO, LADEE, GRAIL and other missions. Astrobotic is giving NASA up to $12M for payload delivery to the Moon in new dollar-for-dollar matching program that will provide free payload deliveries to the Moon.